AKIPRESS.COM - Brazilian president Jair Bolsonaro is being treated for pneumonia, after coming down with a fever on Wednesday, the Albert Einstein hospital in Sao Paulo has said, Guardian reports. Bolsonaro recently had a follow-up operation to remove a colostomy bag that was put in place after he was stabbed while campaigning ahead of Brazil’s election last year. 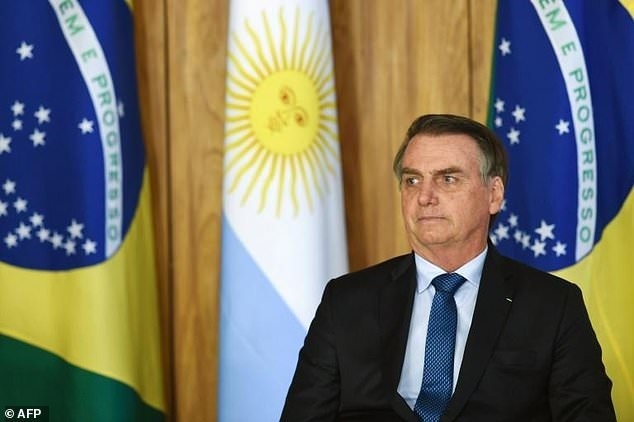 The Albert Einstein hospital said in a statement on Thursday it had carried out tests on President Jair Bolsonaro. Bolsonaro checked in at the hospital on 27 January for the removal of a colostomy bag put into place after he was stabbed during a campaign rally. His recovery in the hospital was initially expected to take seven days.